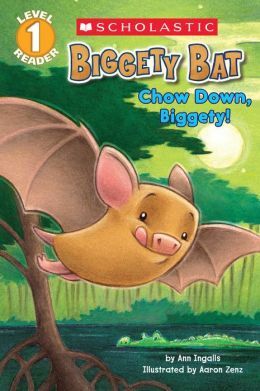 Biggety Bat: Chow Down, Biggety! “Hot diggety ” said Biggety. “Supper for sea turtle, but. . .
Biggety Bat is hungry — and looking for his supper. The swamp he explores is full of animals chowing down: frogs, cuckoo birds, sea turtles, and more.